Allowing you to open and close your kitchen cabinets and drawers with ease, kitchen cabinet hardware fits seamlessly into any kitchen design. While some cabinets come with hinges or pulls included, others require you to find and purchase your own prior to installation. Find the best cabinet hardware for your kitchen to allow both ease of use and a stylish appearance every time. Like many elements of a kitchen design, your cabinet hardware needs to serve two purposes; it needs to look good and it needs to function properly. By examining both the style of your kitchen and the needs of the users, you'll find it easy to help narrow down your choices. Cabinet hardware is installed right around eye level in many cases, which makes its style extremely important to the overall look and feel of the kitchen. 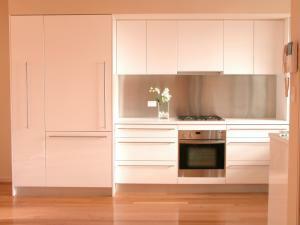 Selecting the wrong type of hardware could provide a jarring note that stops the kitchen design from clicking visually. In most cases the size of the hardware will be predetermined by the cabinet manufacturer; they will often either pre-drill the cabinets, or offer size suggestions. This is particularly important when selecting hinges; most cabinets are made to support either traditional or European style hinges. Many hidden or European style hinges are mounted onto the door with a notch made in the back; switching styles is usually difficult if not impossible for this reason, as well as the size and shape of the frame. Hinges are made to support the weight of a door on its frame, including the distance the door has to travel from the frame. 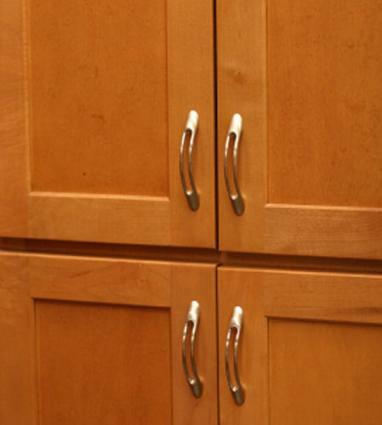 If you are replacing your cabinet hardware, you need to keep the overall size and placement of the hinges intact. 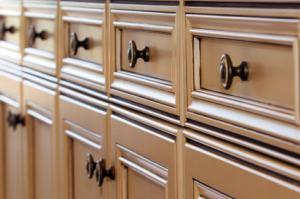 Knobs and pulls can be moved by filling the old holes, restaining the cabinets and drilling new ones. 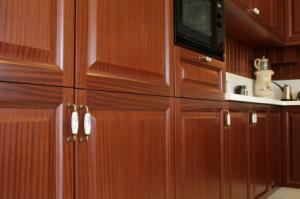 Light cabinets reflect dark hardware best, and dark cabinets are accented well with light finishes. If you're refacing existing cabinets or just replacing hardware, take along an old pull or knob to ensure you buy the right size. Make a cardboard template of your doors and drawers to use as a guide for spacing and positioning. Measure the depth of a cabinet door compared to a drawer facing. Depending on the wood and substrate used, there may be a difference in screw length. Carefully review every kitchen surface to make sure you don't miss a necessary door or drawer pull, especially if placing a special order. Complete all exterior touches, including painting and staining before applying new hardware. If the new pull or handle is a different size than the old one, fill in the former space with a sliver of a wooden dowel rod and wood putty, sand it smooth and finish the exterior resurfacing. Even if you're following the outline of existing hardware holes, measure again when attaching new pieces. Knob Gallery carries top manufacturers as well as artisan and novelty pieces. Cool Knobs and Pulls has a great selection combined with free shipping on orders over $85. Kitchen Source specializes in traditional finishes as well as glass and rock knobs, and offers a free shipping deal on orders of $100 or more. House of Antique Hardware is a helpful source for restoration hardware. 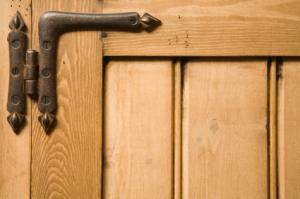 Prices for cabinet hardware extend over a wide range. 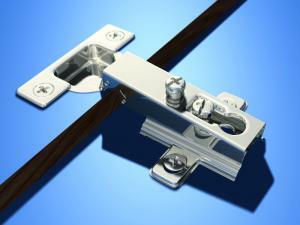 Basic features start at $1.50, but designer models or special mortise hinges extend up to $40 or more per piece. Do some comparison shopping to uncover price breaks through different retailers or pieces within desired design features. 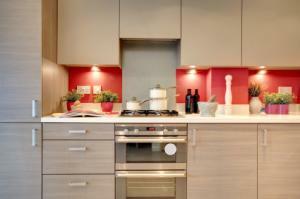 Cabinet knobs, pulls and hinges give your kitchen the finishing touches it needs to be stylish and functional. Whether you are updating your kitchen decor, or completing a new kitchen design, take some time to find the right cabinet hardware for the space. You'll find your decision helps complete the entire room.